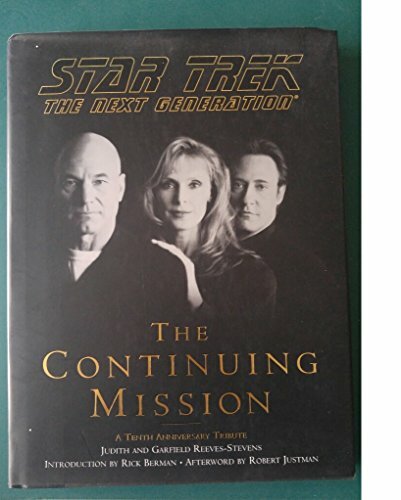 Concentrating on the writers of the Star Trek stories, the art creators, the actors and the creators of the special effects, the authors look at how The Next Generation became the most popular of the Star Trek series. Many colour photographs illustrate this behind the scenes look at The Next Generation. Featuring 750 never-before-seen illustrations and full-color photographs, this visually stunning book focuses on the creation of the hit series "Star Trek: The Next Generation". Its true, unique focus, however, is on the people who wrote the series, created the art, played the roles, and fashioned the special effects.